This shader cannot have partially transparent areas. Everything will be either fully opaque or fully transparent. 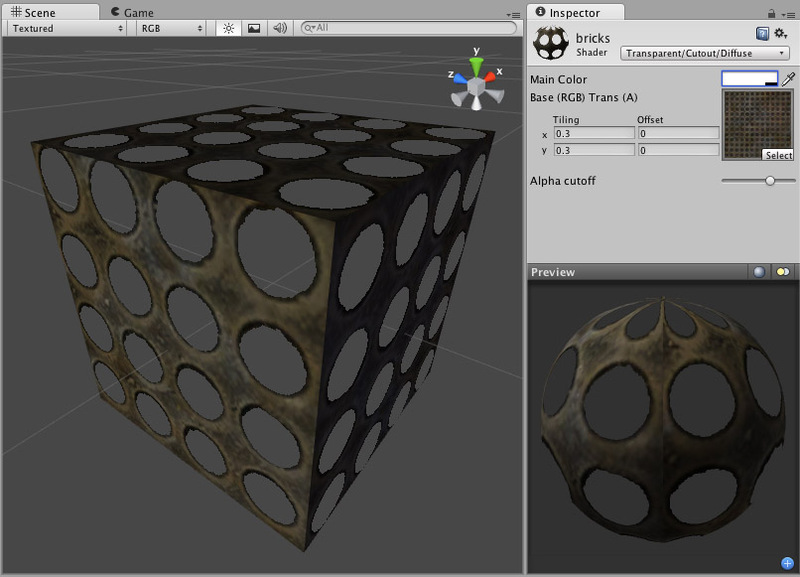 Objects using this shader can cast and receive shadows! The graphical sorting problems normally associated with Transparent shaders do not occur when using this shader. This shader uses an alpha channel contained in the Base Texture to determine the transparent areas. If the alpha contains a blend between transparent and opaque areas, you can manually determine the cutoff point for the which areas will be shown. You change this cutoff by adjusting the Alpha Cutoff slider.